The God of creation according to Hindu Mythology is Lord Brahma He is also one part of the TRIMURTI the others comprising of Lord Vishnu and Shiva. The Purana states that Brahma is the father of Manu, and it is from Manu all human beings are descended. The Ramayana and the Mahabharata, often refer to him as the progenitor or great grandsire of all human beings. The consort of Lord Brahma is Goddess Gayatari. Saraswati is his daughter who sits beside him to gain knowledge and is referred as the goddess of learning. 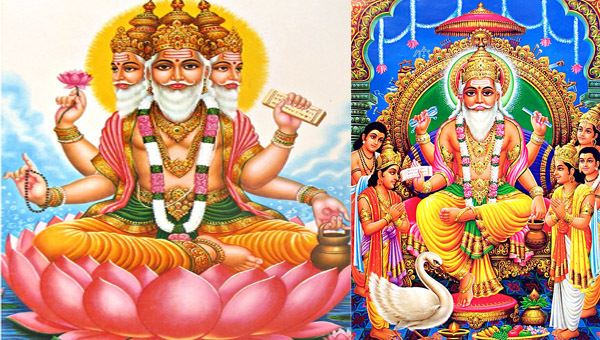 In many places Lord Brahma is often identified with Prajapati who is a Vedic deity.